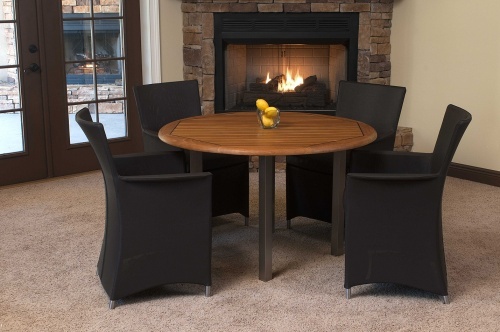 The refined elegance of this Teak outdoor dining set has class and functionality in mind. Invite your guests to join you all season at your indoor/outdoor teak furniture set to celebrate, entertain or just relax. 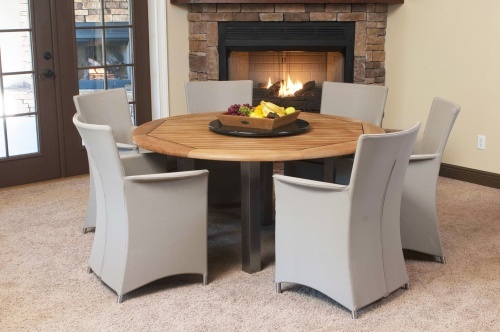 Whether you have chosen this outdoor teak set for the convenience of the generous Vogue teak 5 Foot Round table or the comfort of the 6 Apollo Wicker Armchairs, Westminster created this teak indoor/outdoor teak Wicker set with your entertainment, dining, and sophistication in mind.